Subs and Stuff - The Quest for the Best Italian Sub in Boston: What happens when your car breaks down next to Brother's Deli - Wakefield, MA? What happens when your car breaks down next to Brother's Deli - Wakefield, MA? Sometimes cars break down. Sometimes it rains. Sometimes these things happen at the same time on the same day. And before I could look up to the heavens to question ask God why, there it was: Brother's Deli and Restaurant. While the greasy-handed men rigged my car to the tow truck, I got my own fat fingers greasy with a Steak Bomb Sub. Brother's is an old-school spot offering breakfast all day along with homemade, heaping portions of American classics like pot roast, meatloaf, boiled carrots, and mashed potatoes. With these menu options, the place was packed with elderly people on a rainy Wednesday afternoon, but I had faith in my man with the spatula standing over the sizzling griddle. Served on a plate with a pickle and placed on my cafeteria tray, I scurried over to a table to take a bite and deliver a Subs and Stuff one-bite review of Brother's Steak Bomb Sub. Click the video below for the rating. Brother's Deli Steak Bomb is made to order with real thinly sliced steak, peppers, onions, mushrooms, salami, and cheese. Unlike so many places in this state, the Brother knows to throw the cheese on the steak while on the griddle in order to obtain that evenly distributed and melted cheese throughout the sub. 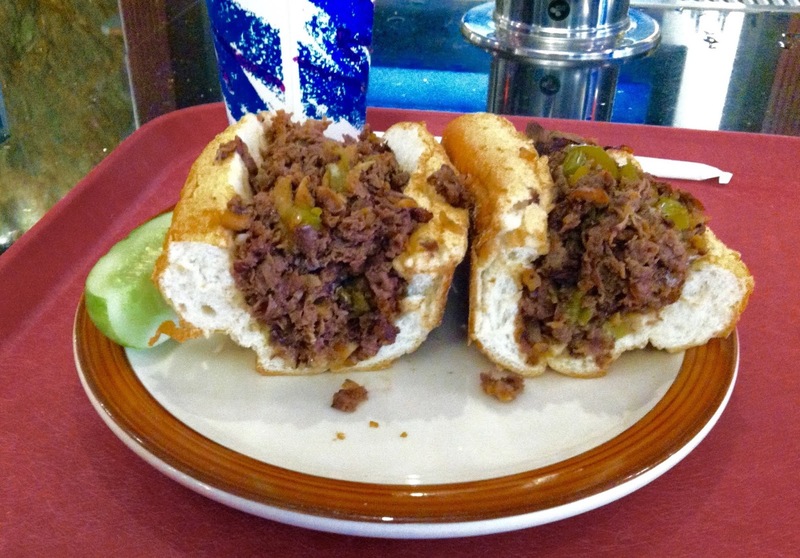 The Steak Bomb includes a healthy portion of beef and friends served on a very soft sub roll. The roll holds up well, and overall, it is a very good steak and cheese sub. With a delicious dill pickle on the side, this is a great lunch for those who need the beef alongside old folks eating waffles.